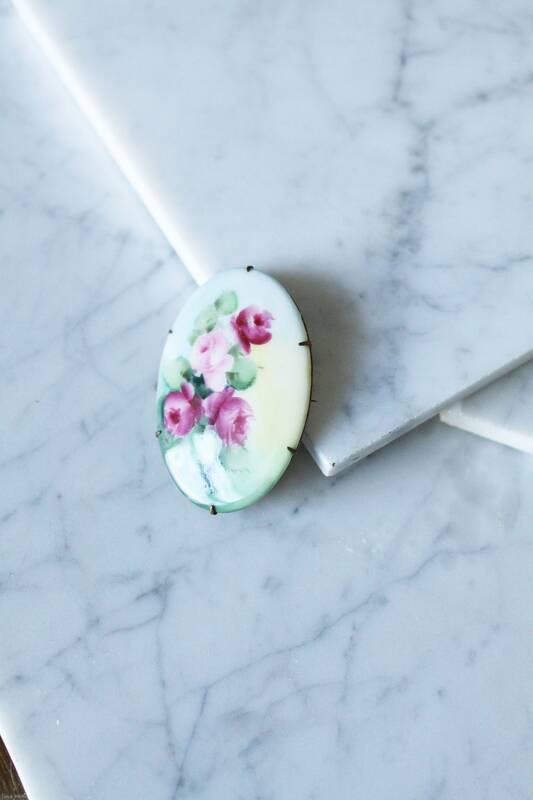 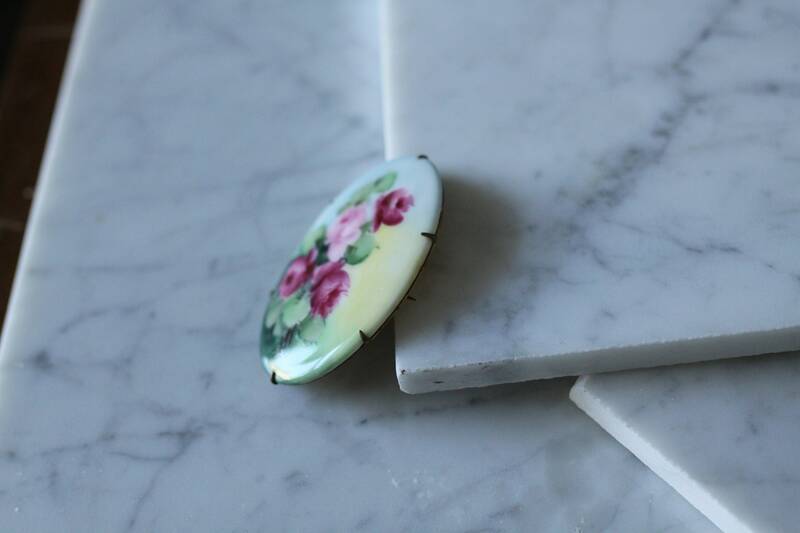 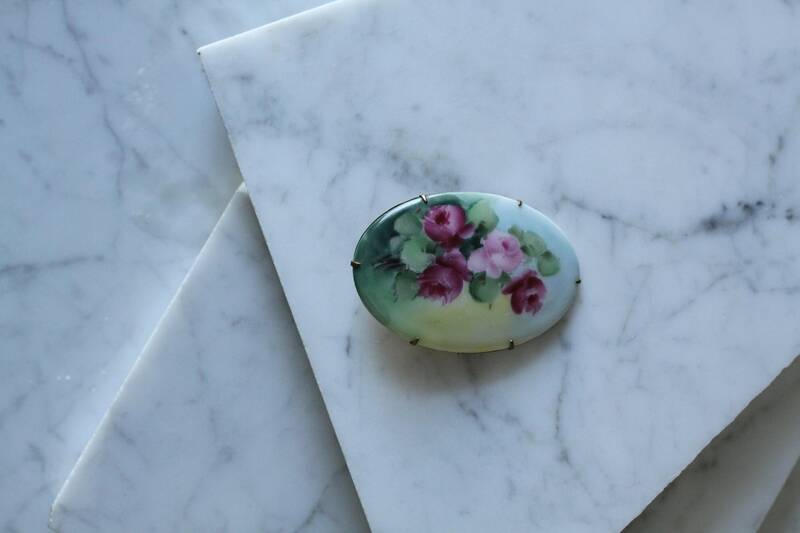 Absolutely beautiful hand painted floral ceramic brooch with brass metal backing and dainty setting. 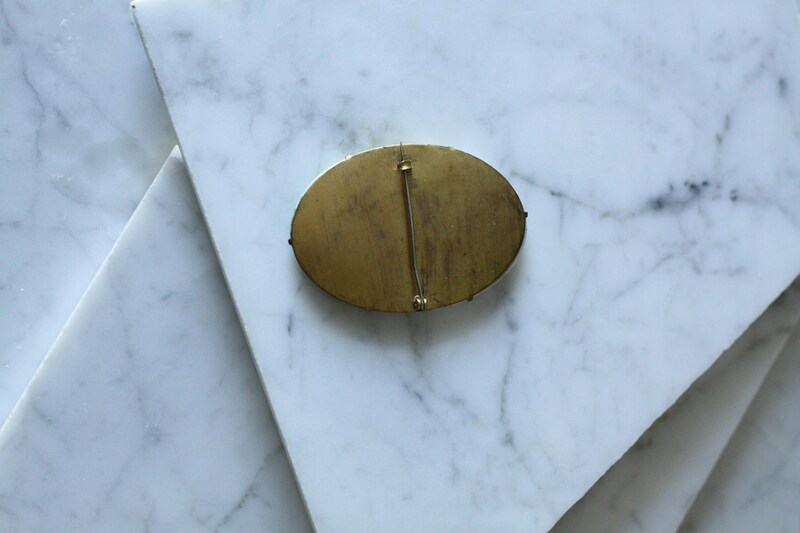 I believe this piece to be from the late 1910s/ early 1920s. 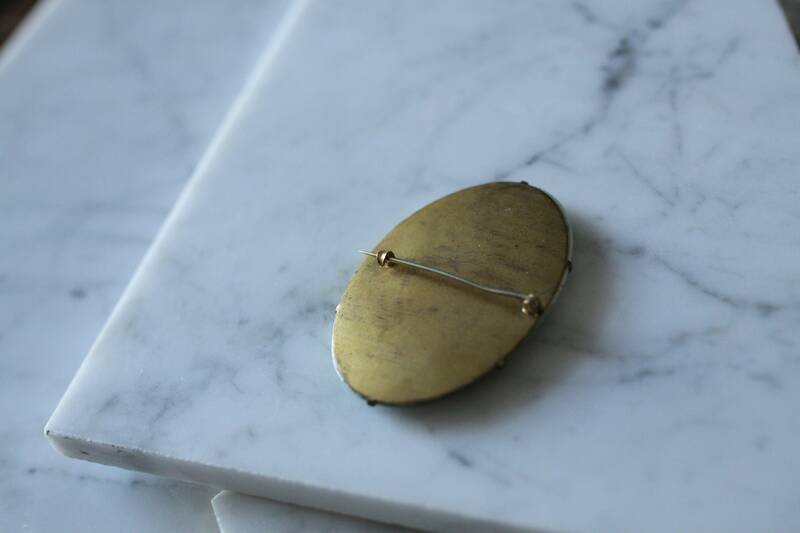 Bar clasp for closure.